Not an awful start to my Red Café career because I posted my opinion. This is a forum right? We have the right to post what we think. Also it's clear you have an agenda against Big Rom. He has been the top scorer in this team since his arrival. He may not be Aguero but he does a job. He is the least of our problems. Apologies for dragging this out but going back to the "we don't create enough chances" debate, it would be interesting to see the graphics under Ole as we have played with a restrictive manager for the 1st part of this season. Despite this though, using the same website, United are SECOND in the league for big chances missed, this season after City! 5th for shots on goal (only 3 less than Spurs), 4th for goals scored and we have 2 players in the top 7 for big chances missed (our 2 centre forwards). I don't know how good you assume our rivals are to be honest but evidently, overrating them is a possibility. Big chances missed is a team stat because what people aren't talking about is how wasteful the rest of our forwards are, especially Rashford. People talk so much about Lukaku but don't realize that Rashford can't hold the ball up, and apart from first time finishes isn't that great of a finisher. Wow,even a player like Lukaku sees United as nothing more than a stepping stone. He will never be a United legend, and I don’t think Solskjaer see’s him as a United type. Pretty much stopped reading your reply after this. Rooney is one of the best players this club has ever seen. It's not even close enough to be a matter of opinion or debate, if you think Lukaku is at his level then football might not be the sport for you. Using the phrase sorry not sorry makes me think you are too young to have seen Rooney at his best. I think the most important thing about this Lukaku debate is that somebody actually used the phrase 'facts not feelings' in a football discussion. He's just not good enough. He fails to make impact in 99% of big games because he lacks that quality needed. Thought he played relatively well. Held the ball up and caused all sorts of problems for Pique and Lenget. He shouldn't have been taken off. Lingard and Rashford were even worse. Was okay. Certainly deserves his spot in our current best eleven given how Rashford and Martial looked. Whatever happens in the summer happens. Another one who tries but has very little ability. Our squad is full of them. The guy's seasons have always been a period in which he scores a lot then goes missing for some months before scoring again a few in 3 or 4 successive games, then back to being invisible and so on. He grew into the game after a poor start and he puts the effort in but he's just not good enough. Not a single shot, key pass or successful dribble all game. His games against the top sides consists of him holding the ball up down the line, turning and playing a 5 yard pass to the fullback. This game was a level too high for him in terms of quality. Held the ball up well when we had it, he's improved massively in the last couple of months. Playing him up front next to someone doesn't really make sense though, the service to him is absolutely atrocious 95% of the time and it moves the player who is supposed to be there to link up play behind him, up beside him. Not really sure about that at all. Good hold up play shame Rahsford and Pogba were trash around him. We lost any real purpose going forward when he came off, just ended up crossing balls into Martial. Rashford should have come off instead. See, the problem I have with him is that while he played decent, when the chances are not presented to him on a platter, he really does not do anything spectacular, hell he does not even try. I don't mind players who try something outrageous from time to time, it is a bit weird that he almost never even tries. Even our CBs have a pop at times when they are in a position to do so. He should have stayed on, better than Rashford tonight. Thought he did well and shouldve stayed on. Delivery from the flanks from everyone was so bad that he couldn't get on the end of any chances unfortunately. Was better than Rashford and should have stayed on. I thought that was useless, he didn't necessarily play badly but he just had no use in this game, he offered nothing. That probably sounds overly harsh because he didn't make any massive mistakes he just didn't really do anything. I didn't even realise he was on the pitch until 25 minutes into the match. Not good enough. The level of service required for him is not even possible for messi to find him. The only thing he can do is receive a long ball into a channel and lay it off to a FB. Can't dribble or receive ball on half turn and commit a defender. Very limited striker and a bad watch. 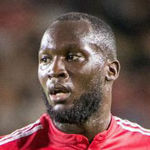 Felt Lukaku was growing into the game more and more in the 2nd half. Silly decision in taking him off. He was better than Rashford but he was subbed instead. Baffling by Solskjaer. Tch. Back to his lazy performance again. He's too relax, no desire/fighting spirit/urgency. Where's the consistent serious Lukaku of last season that always perform like he's having something to prove, like a player with ambition. We really cannot rely on him to be our 9. Those 'stepovers' and then a cross into the keeper pretty much sums up his night. Should have played 90 mins, we could have got something. Rashford was never going to score tonight. Not that bad, but not too good either as much you criticised. I was disappointed by his performance tonight. Didn't win enough physical duels, a couple of strange crosses straight to their keeper, never quite fast enough to make interceptions. I like Rom as a human being (which, after all, is far more important than being a good footballer), but he’s just not good enough when compared to players like Aguero or Kane. If he could run about like Rashford then that would make up for his shortcomings. He's definitely the better finisher but can't see his style of play working at United going forward. I didn’t think he had a bad game, but have to conclude he’s not right for us. I forgot he started in honesty. Just doesn't offer anything - if he gets the ball on a plate he's a decent finisher but we had zero goal threat tonight. When Martial came on at least he made the run that opened them up, unfortunately he didn't get the shot off but I can't remember any other time we even had a decent effort. Had a couple of decent moments in the first half but didn't offer nearly enough for a Manchester United #9.